The airline carried 32.7 million passengers compared with 30.4 million for the same period a year earlier as revenue rose 9% to €1.53bn. But the airline said “excess winter capacity in Europe” cut its profit. Ryanair said chairman David Bonderman will leave in the summer of 2020. The company’s fuel bill leapt 32% and its staff costs rose 31%. In total, Ryanair’s operating costs rose 20% to €1.54bn. Chief Executive Michael O’Leary – who suggested last year that he could step down in the next five years – has agreed a new five-year contract, the firm said. But his role will change slightly, in that Mr O’Leary will become group CEO and will manage chief executives for each airline brand: Ryanair, Laudamotion, Ryanair Sun and Ryanair UK. In September, at the firm’s annual meeting, almost 30% of shareholders voted against the re-election of Mr Bonderman as chairman after a summer of flight cancellations. He has spent 23 years in the job. Michael O’Leary, the outspoken boss of low-cost airline Ryanair, has been no stranger to controversy. Mr O’Leary, who has agreed to stay on for another five years, is well-known for not being shy about expressing his views, famously excoriating his staff, his customers, competitors, regulators, governments, and groups such as environmentalists and scientists. He once said of passengers looking for a refund: “We don’t want to hear your sob stories. What part of ‘no refund’ don’t you understand?” and has said he doesn’t believe in man-made climate change. Mr O’Leary will oversee costs, aircraft purchases and buying rival airlines. It could be good for industrial relations after a series of strikes over the summer, said transport analyst Mr Lobbenberg. He said the airline’s loss was “disappointing”, but “we take comfort that this was entirely due to weaker than expected air fares”. 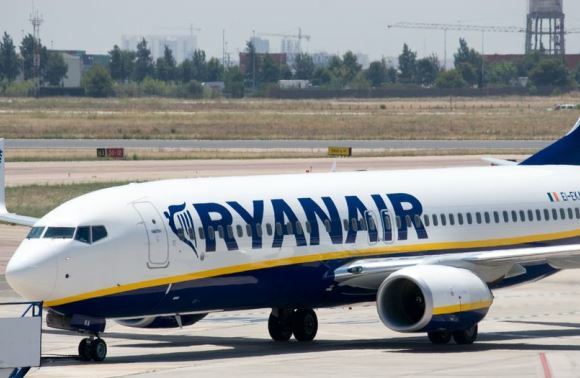 While higher oil prices and lower fares reduced the firm’s profitability, they were creating even bigger problems for rivals, Ryanair pointed out. Firms like Wow, Flybe and Germania are seeking buyers.